Email marketing is marketing your message to a designated group of people who are utilizing email. 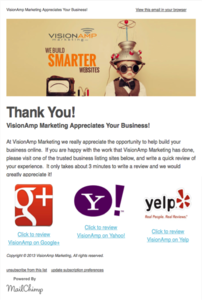 It's an efficient way to connect with your clients while at the same time promoting your business. Email is a channel that you own and can personalize to your liking. Email marketing is both cost-effective and environmentally friendly. 91 percent of consumers check their email daily, and 47 percent of email is opened on mobile devices. 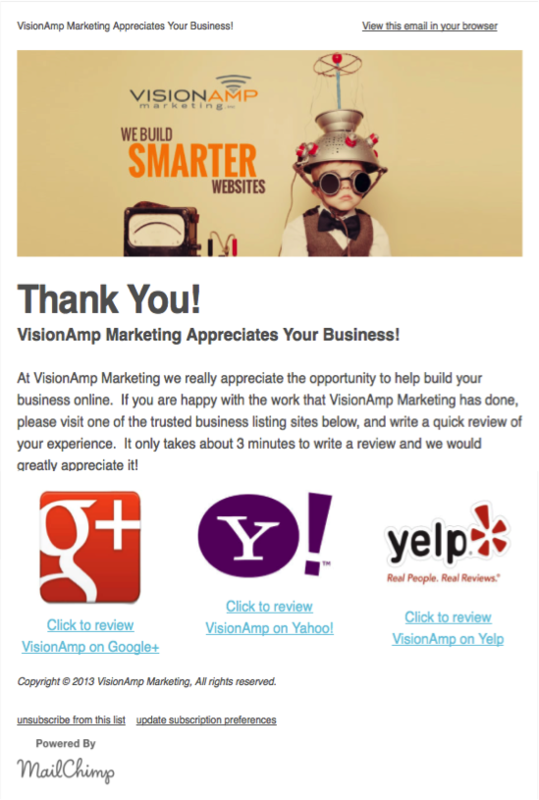 At VisionAmp, we combine context and content to create a successful inbound marketing strategy for you. With our tracking and reporting, we will do our very best to get the emails that you send out opened and increase the number of page views on your website. The bottom line is an email should add value to your customer and your message, not ask for it.